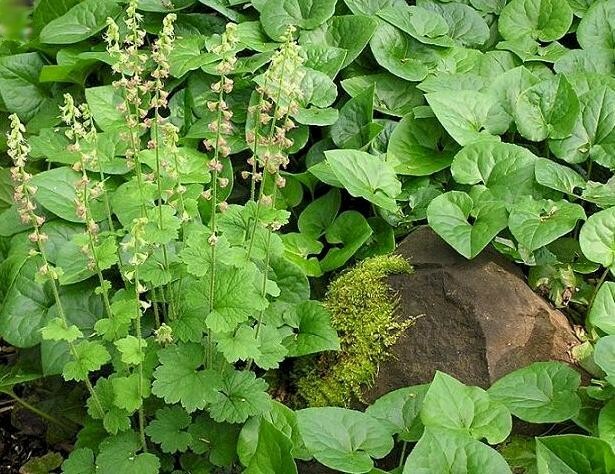 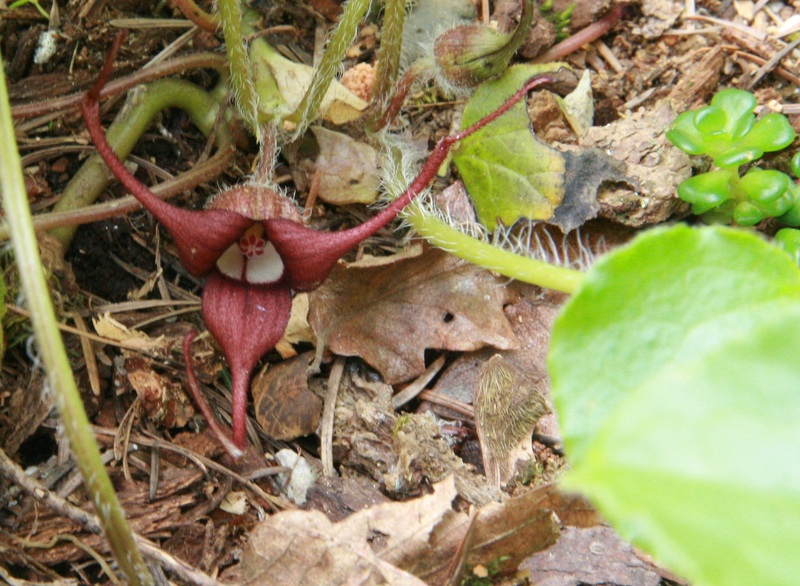 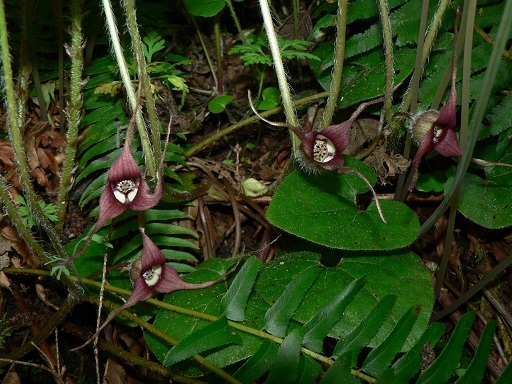 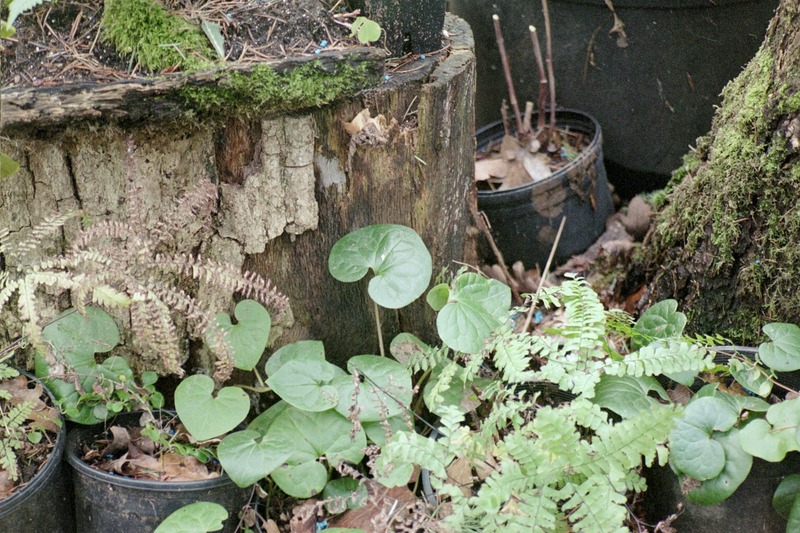 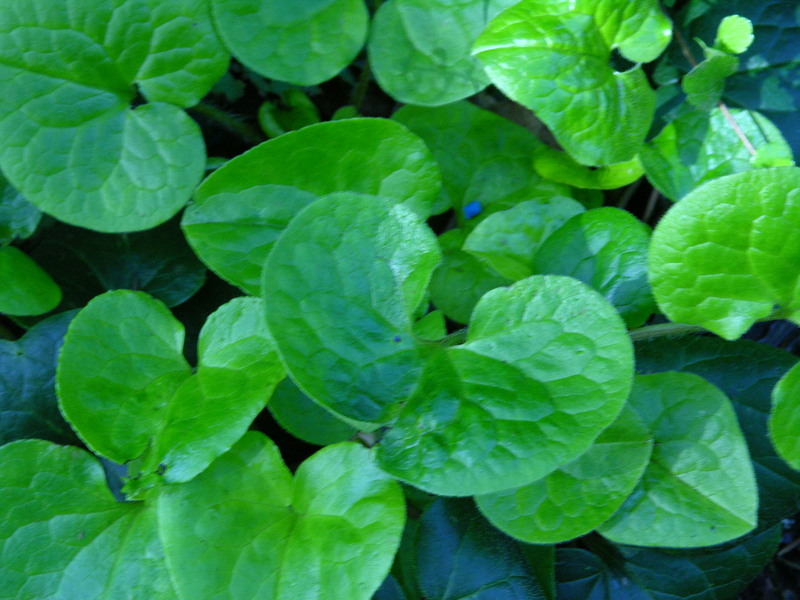 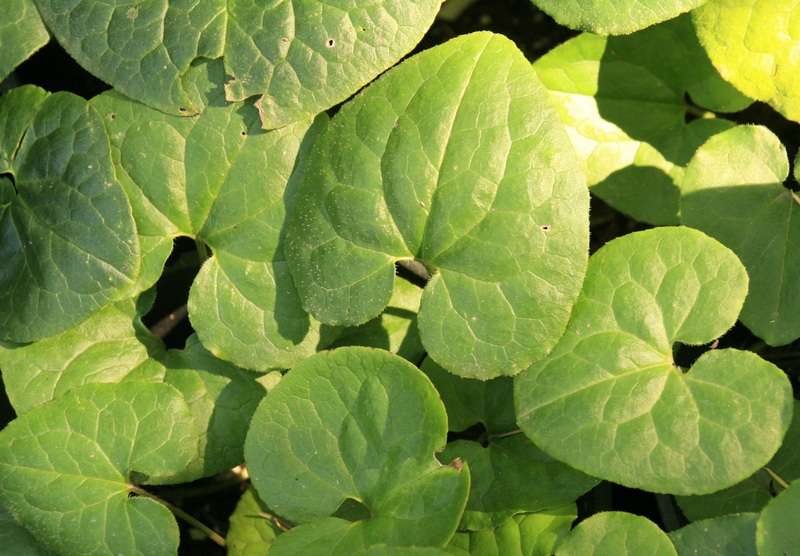 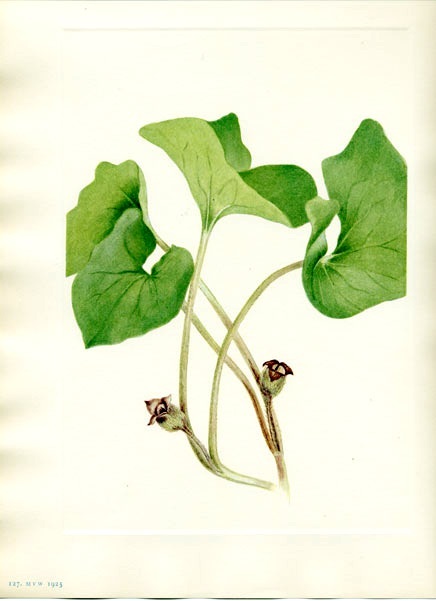 Wild Ginger (Asarum caudatum) is one of the finest ground cover plants for shady, moist areas, just the conditions found beneath evergreen trees and shrubs! 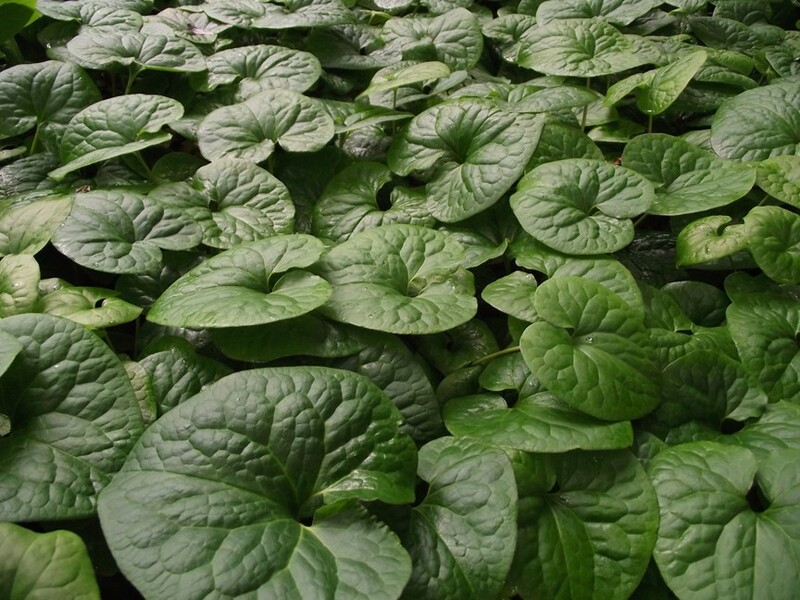 These beautifully shaped leaves have a pleasing texture and sweet ginger fragrance. 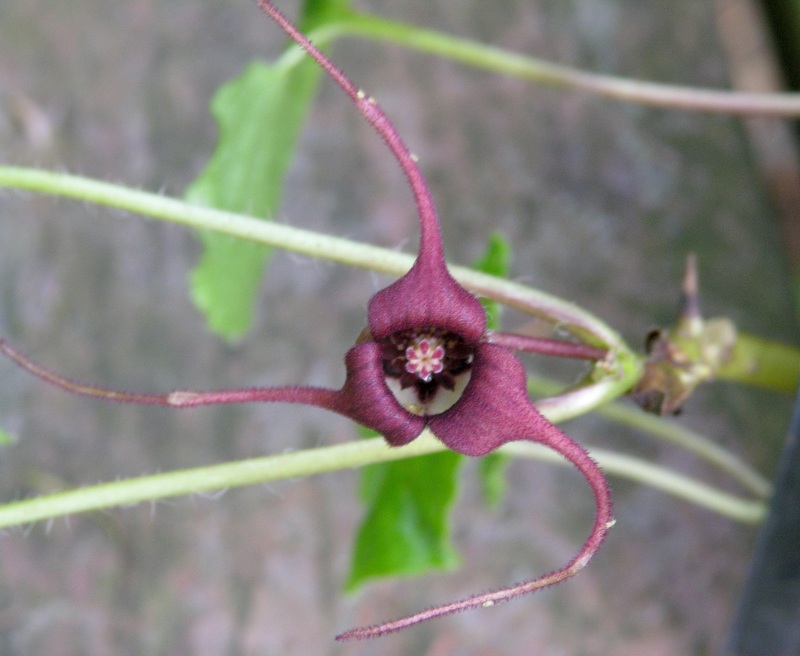 The bloom looks exotic, purple or brown, the three petals are long and wispy and usually appears below the leaves. 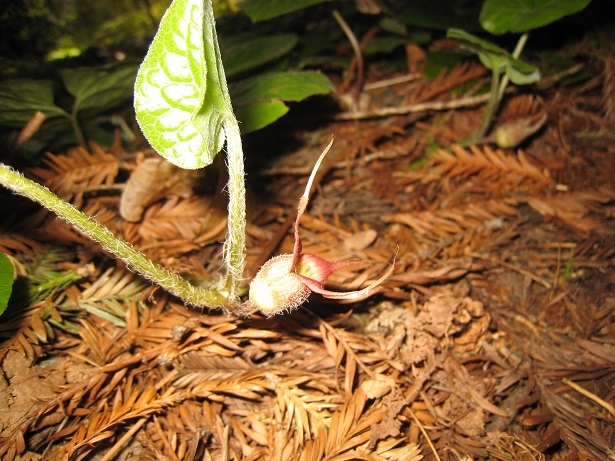 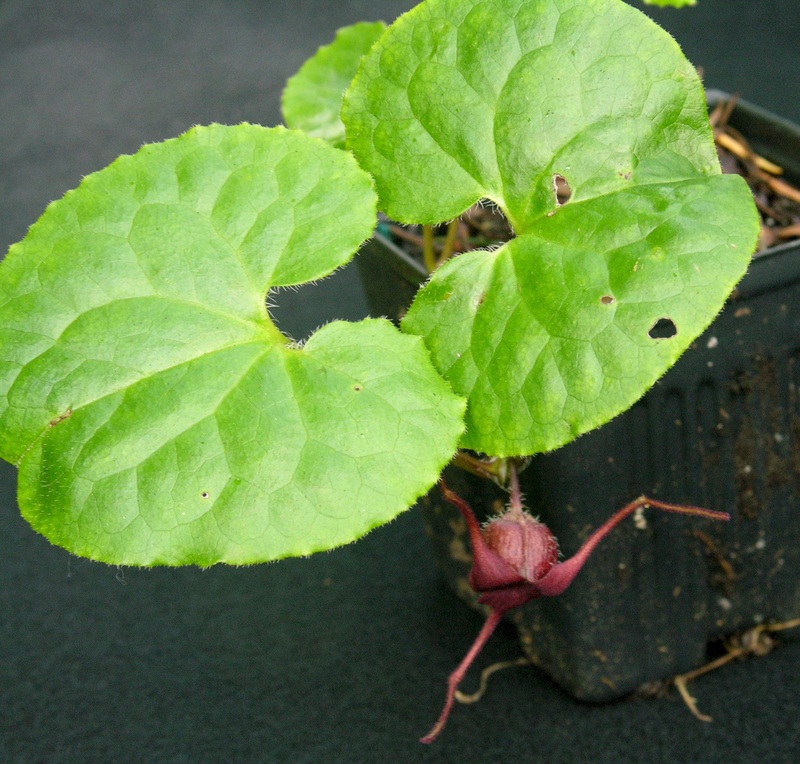 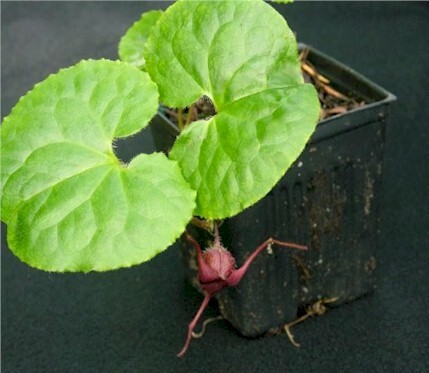 Wild Ginger will spread by underground rhizomes and will root wherever the stems are in contact with the ground. 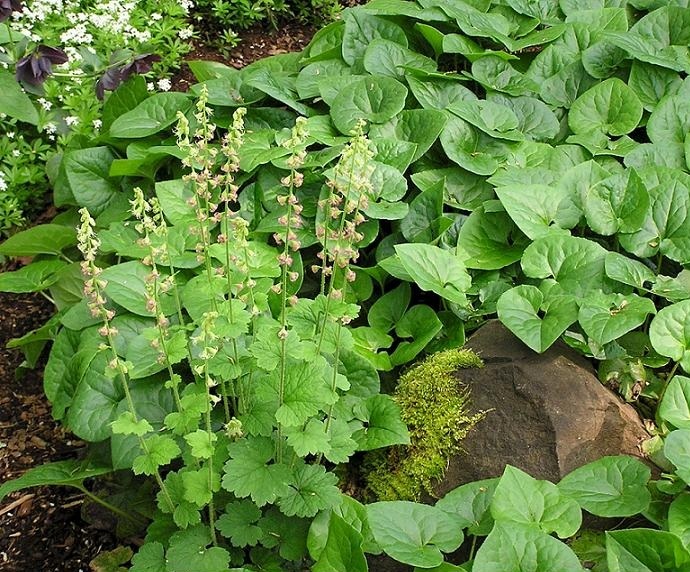 Plant at least a few inches apart and you will have a solid cover in a few seasons. 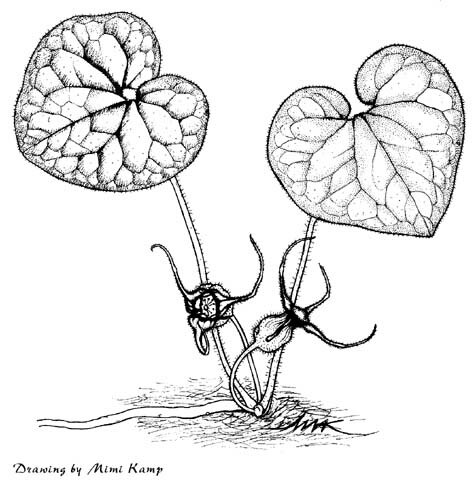 Asarum caudatum was once used fresh or dried by First Nations in cooking and as tea but in recent years the Federal Food and Drug Administration advises discontinuing this use based on quantitative analysis of the plant. 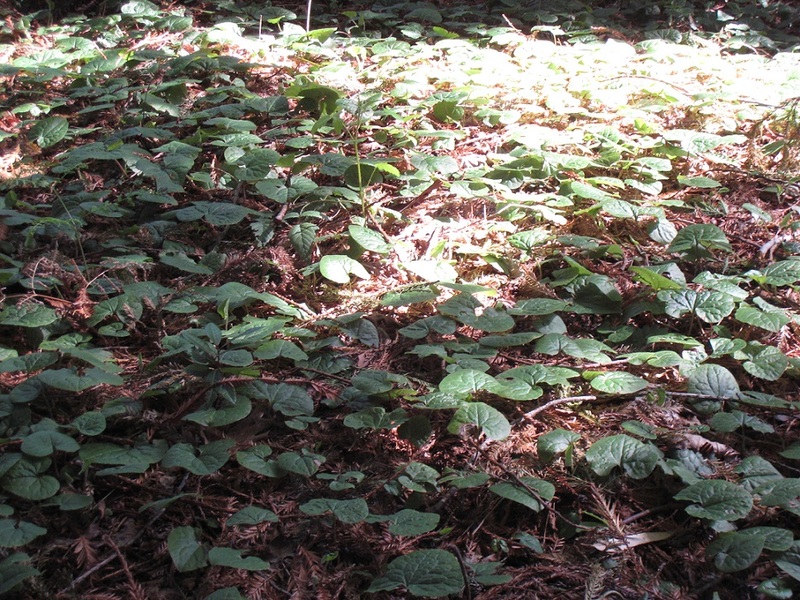 Found along the Pacific coast, east into Montana (USDA 8-10), Wild Ginger needs shade and moisture. 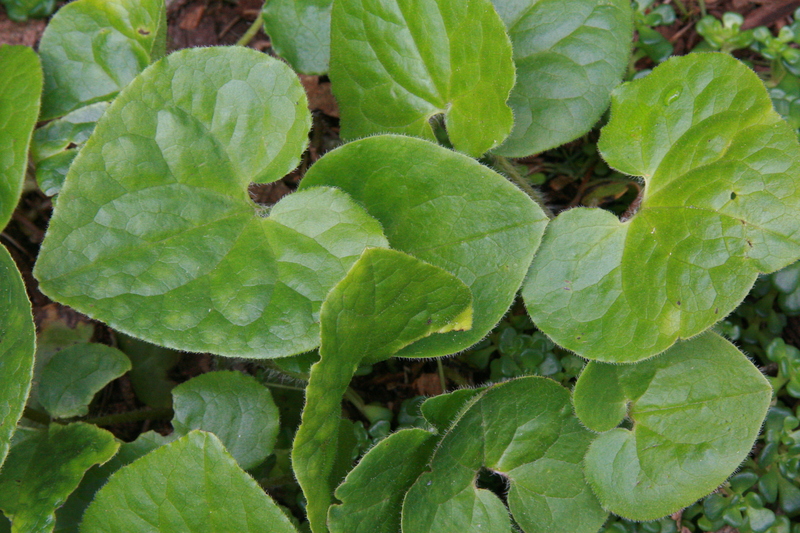 Wild Ginger with Fringecup (Tellima grandiflora). 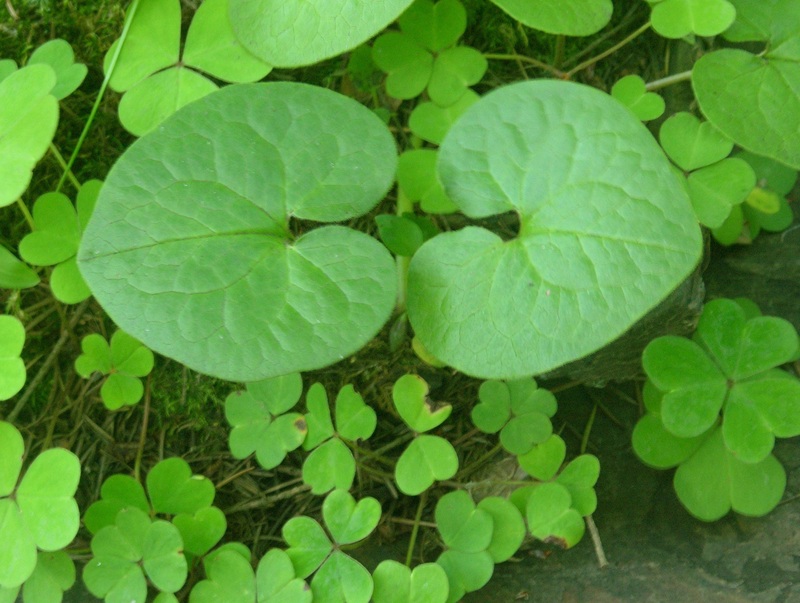 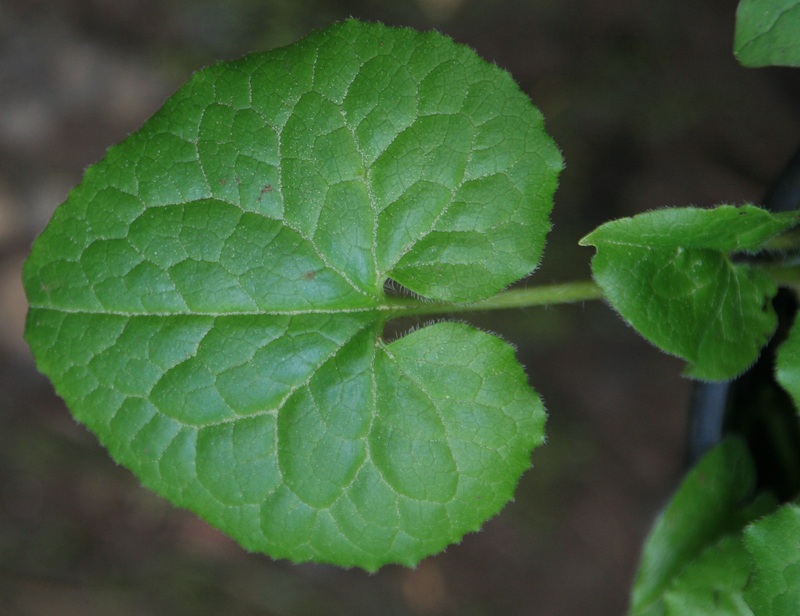 The serrated Fringecup leaves have a rougher texture and are lovely with the heart-shaped ginger leaves.